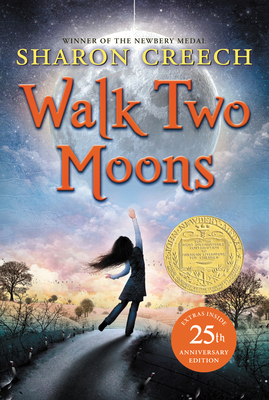 In her own singularly beautiful style, Newbery Medal winner Sharon Creech intricately weaves together two tales, one funny, one bittersweet, to create a heartwarming, compelling, and utterly moving story of love, loss, and the complexity of human emotion. Thirteen-year-old Salamanca Tree Hiddle, proud of her country roots and the "Indian-ness in her blood," travels from Ohio to Idaho with her eccentric grandparents. Along the way, she tells them of the story of Phoebe Winterbottom, who received mysterious messages, who met a "potential lunatic," and whose mother disappeared. As Sal entertains her grandparents with Phoebe's outrageous story, her own story begins to unfold—the story of a thirteen-year-old girl whose only wish is to be reunited with her missing mother. — 1995 Newbery Award Selection Committee.